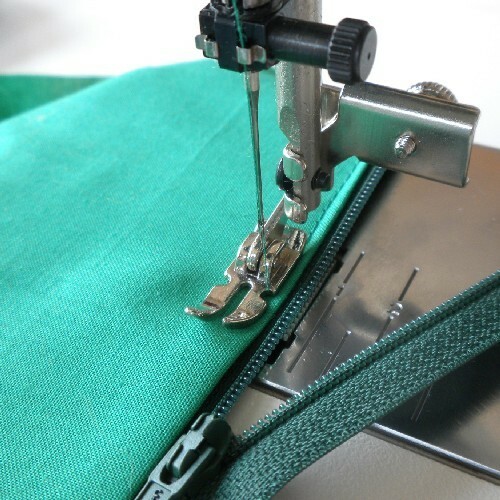 For More Accurate Zipper Insertion & Straight Seaming Too! Even if you can adjust your needle position to insert sippers with your fixed zipper foot, sometimes you need more positioning flexibility with your zipper foot. 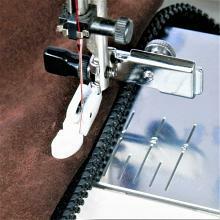 The Janome Adjustable Narrow Zipper/Straight Stitch Foot slides to any position you need, left or right of the needle. 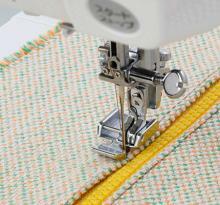 In addition, the Janome Adjustable Narrow Zipper/Straight Stitch Foot can also be used for straight stitch seaming. 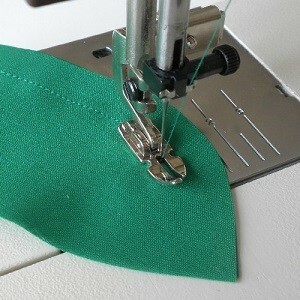 This is most handy when sewing small pieces and tight curves. The narrow sole allows you to turn your fabric more quickly than a standard wider sole. Includes instructions. 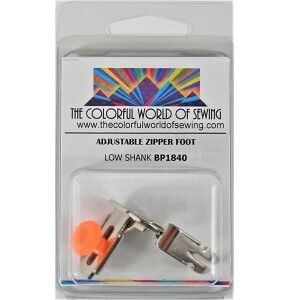 Low shank foot, will not work with the Janome high/low adapter.